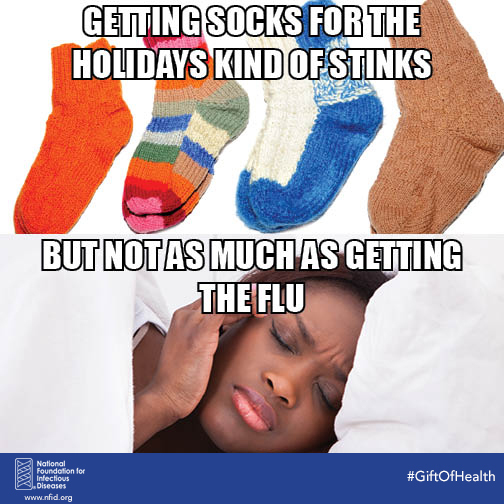 NFID has created a series of shareable visuals for use throughout the holiday season. While humorous, these visuals convey a serious message. Each year in the US, tens of thousands needlessly suffer, are hospitalized, and even die as a result of vaccine-preventable diseases. 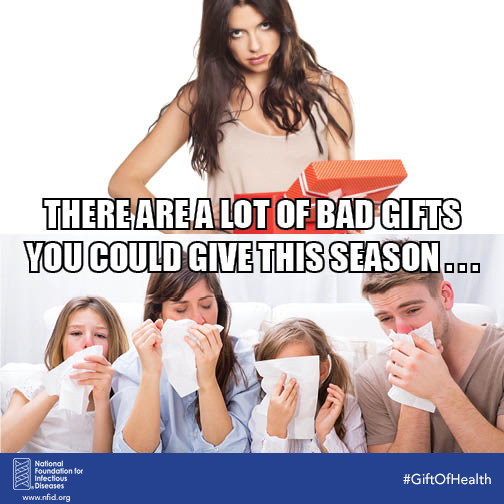 The worst gift you can give for the holidays is a serious illness, including influenza (flu) and pneumococcal disease. 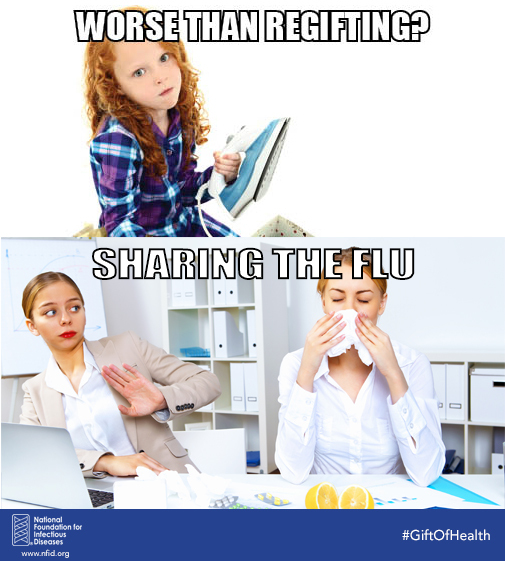 Staying up-to-date on all recommended vaccines can help protect your health and the health of your loved ones. 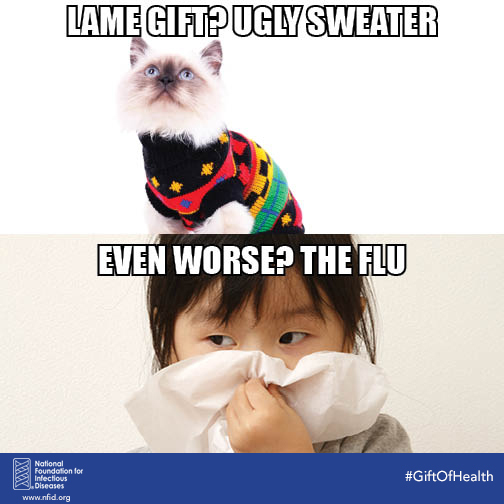 Share these visuals using the hashtag #GiftOfHealth to help spread the word throughout the season. 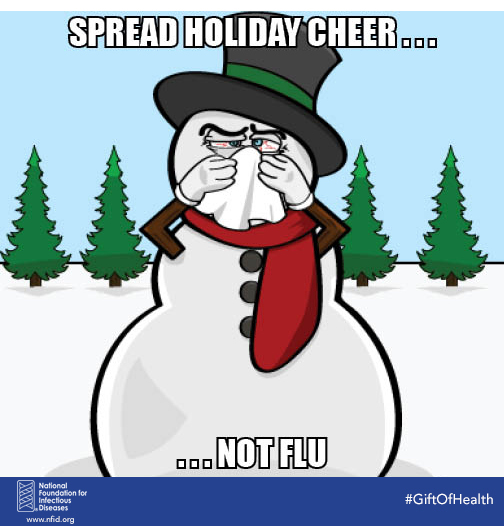 Don’t forget to tag your friends and family to remind them to #GetVaccinated to help stay healthy this season!